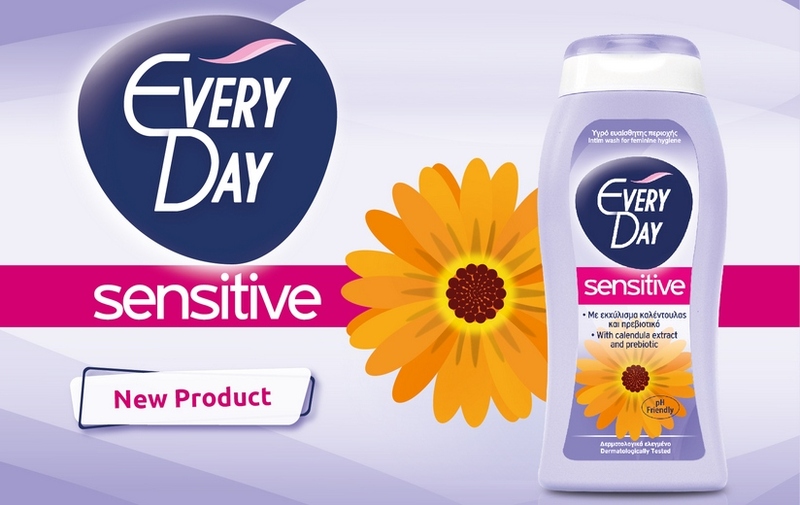 Feminine care requires materials that ensure absolute respect for the skin… and what respects your skin more than a hygienic extra soft top-sheet that contains cotton, like the one featured by the new sanitary napkins EveryDay Sensitive with cotton? Skin friendliness, with a touch of cotton! Now, for the 1st time in Greece, EveryDay incorporates in the design of sanitary napkins as well, the unique skin-friendly properties of cotton. 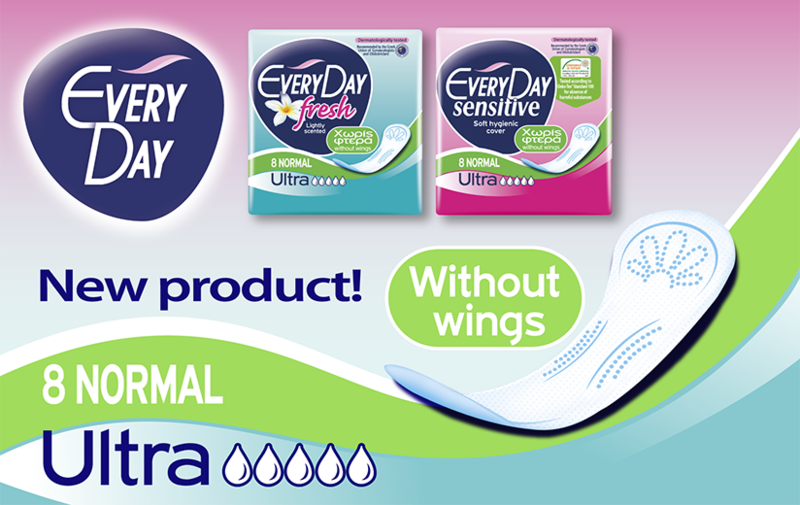 As opposed to non-Sensitive sanitary napkins (featuring a top-sheet that is made of plastic film), the new sanitary napkins EveryDay Sensitive with cotton have a uniquely hygienic, extra soft top-sheet containing cotton fibers, that allows skin to breathe. Thus, they ensure safe protection from irritation and unmatched skin-friendliness, with a touch of cotton! 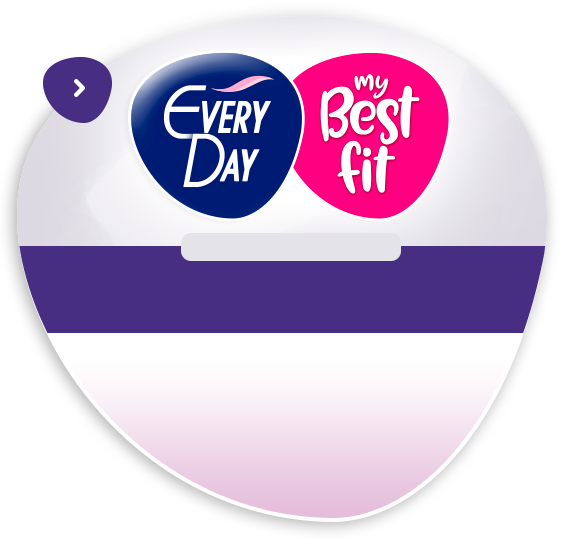 In addition to enhanced skin-friendliness, the new sanitary napkins EveryDay Sensitive with cotton also offer enhanced absorbency, since they now incorporate into their design yet another EveryDay innovation: the revolutionary Center Plus technology featuring an extended core in the center, where it is needed most! This way, the new sanitary napkins EveryDay Sensitive with cotton ensure up to 30% more absorbent surface in the center of the sanitary napkin, as opposed to other ultra-thin napkins, thus offering even more effective protection from side leakage! For true Sensitive protection, just softness is not enough. You also need certifications! The 1st in Europe to be Oeko-Tex® Standard 100 certified, for absence of harmful substances! 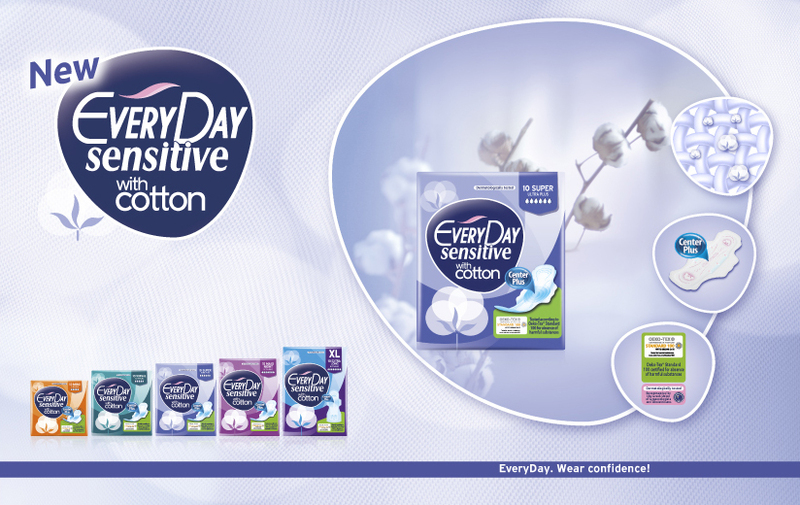 EveryDay Sensitive with cotton. Safe protection with a touch of cotton! To learn more about the new sanitary napkins EveryDay Sensitive with cotton click here. EveryDay Sensitive. New cleansing wash for the intimate area! EveryDay sanitary napkins. 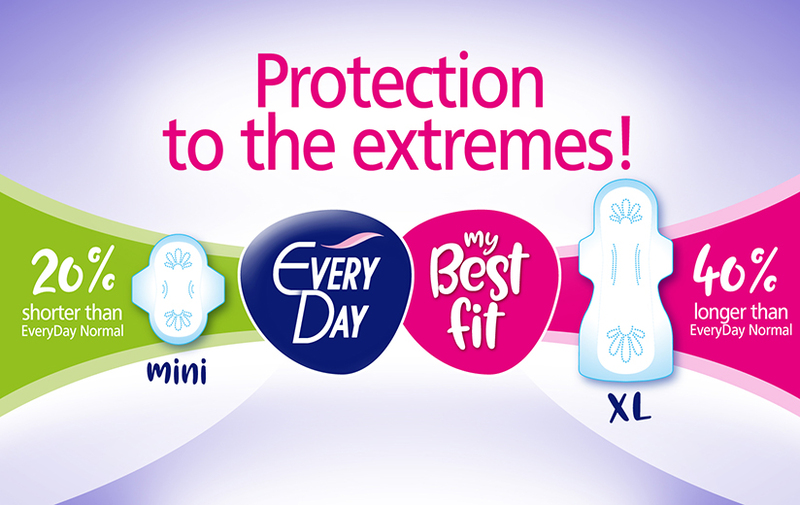 Protection to the extremes! New EveryDay Ultra napkins without wings!! !